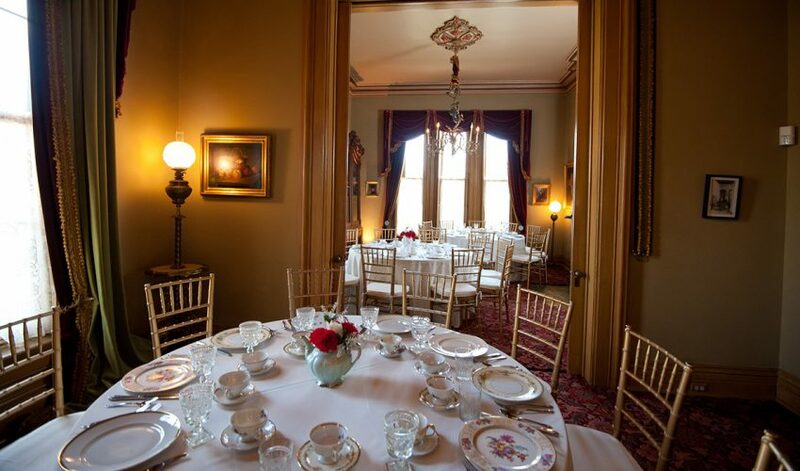 Adjacent to Indiana Landmarks Center, the Victorian-era Morris-Butler House offers a rich, historic ambiance for small gatherings. 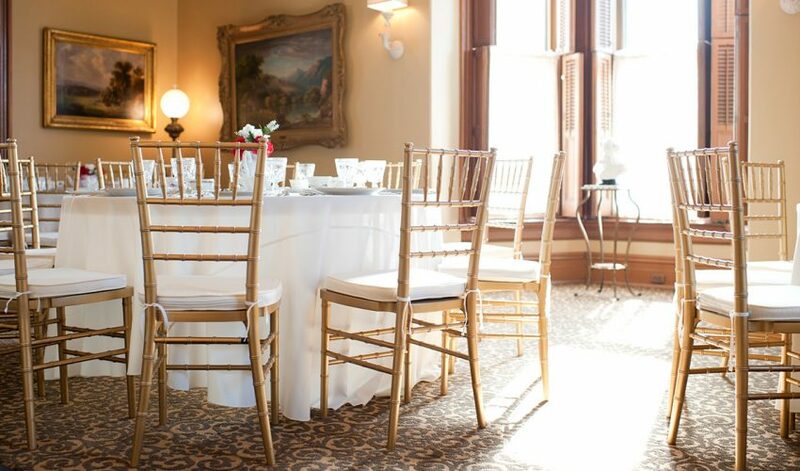 Built in 1865 in the Second Empire style, Morris-Butler House is an ideal rental venue for smaller weddings, receptions, dinners, and other special events, educational programs, and small meetings. 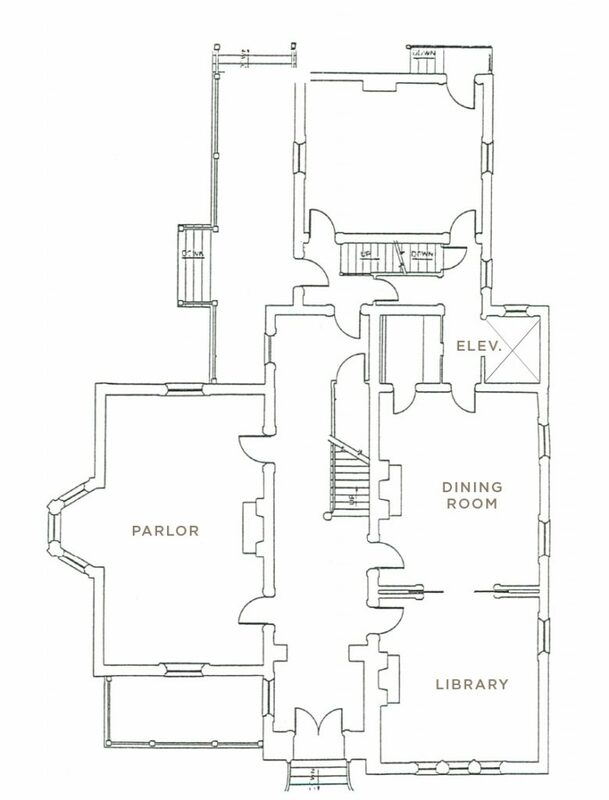 Rental spaces on the first floor—all furnished with antiques—include the formal parlor, dining room, and library. 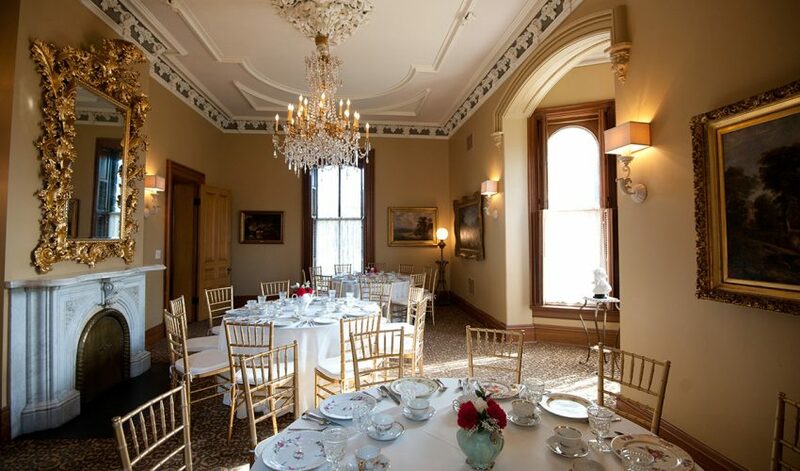 The rooms have rich color schemes, decorative painting, and the high ceilings and nearly floor-to-ceiling windows typical of high Victorian interiors. These areas are wheelchair accessible through the use of an elevette from a private parking court. The house has a lower-level catering kitchen and on-site parking. 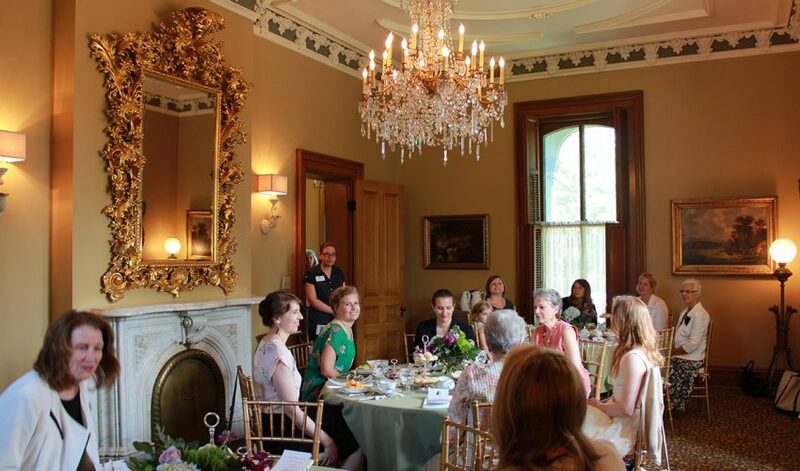 Interested in holding an event at the Morris-Butler House? 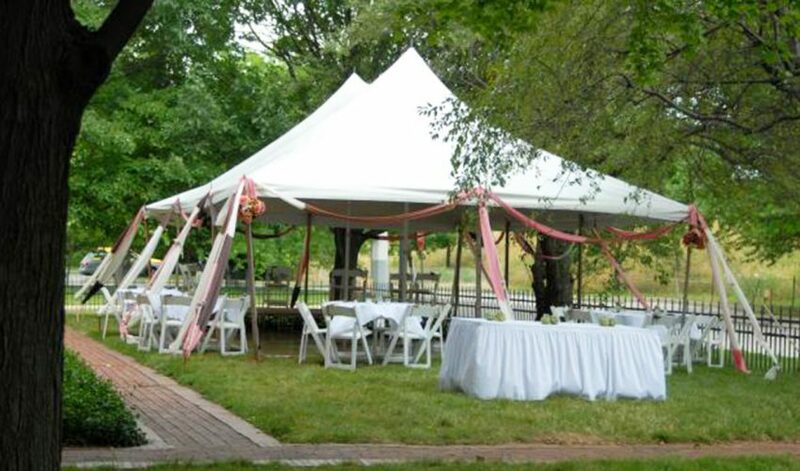 Use our rental form to tell us more about your event, and a member of our team will follow up soon! 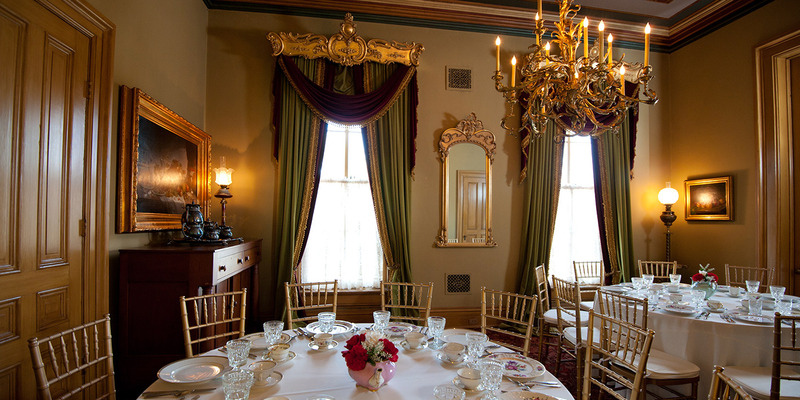 The Victorian parlor features high ceilings, plaster moldings, a crystal chandelier, and a fireplace mantle topped by an immense gilt-framed mirror. 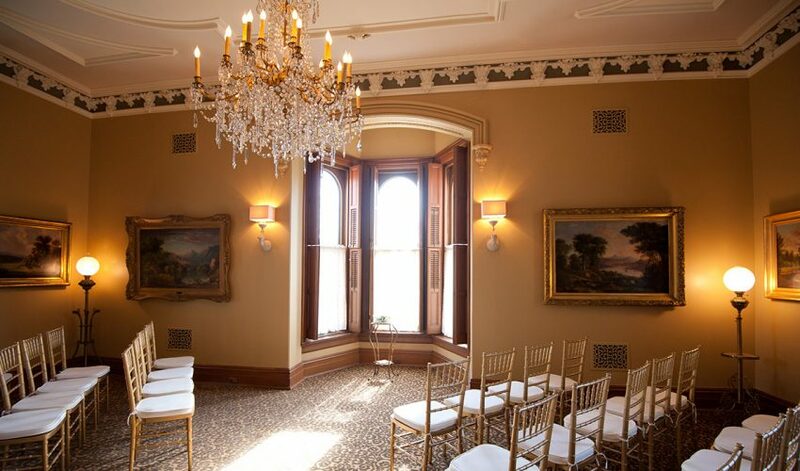 For small weddings, the room’s bay window provides a lovely niche for minister and couple. 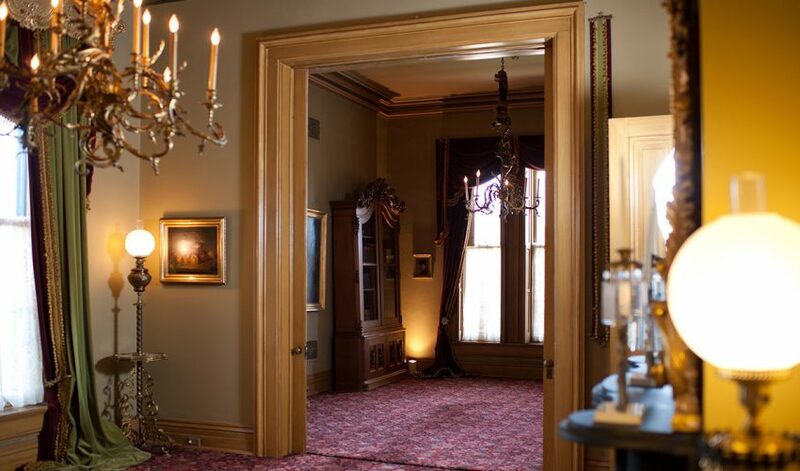 The entry hall, furnished with Victorian antiques, can function as a check-in/welcome area. 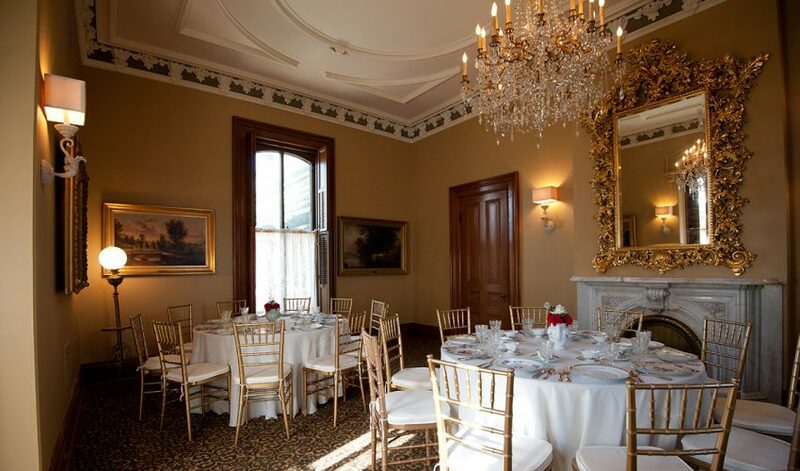 The dining room and adjoining library provide an elegant setting for a formal reception or meal, or an informal gathering. 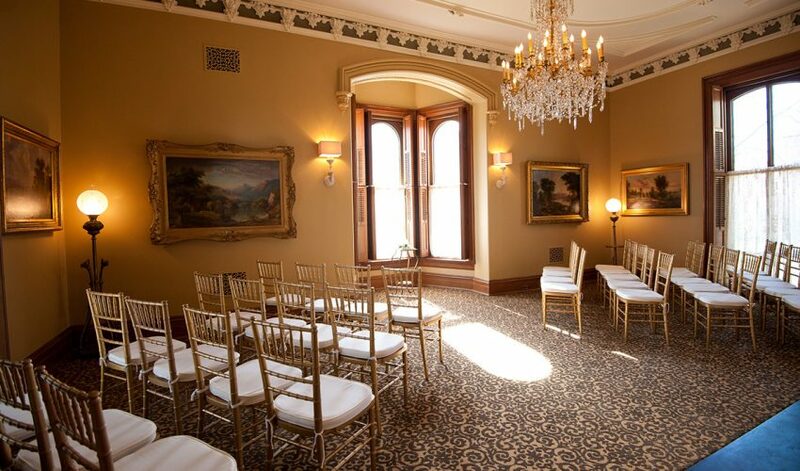 Both rooms feature Victorian furnishings, original fireplace mantles, and chandeliers. The entry hall can be used as a check-in/welcome area. 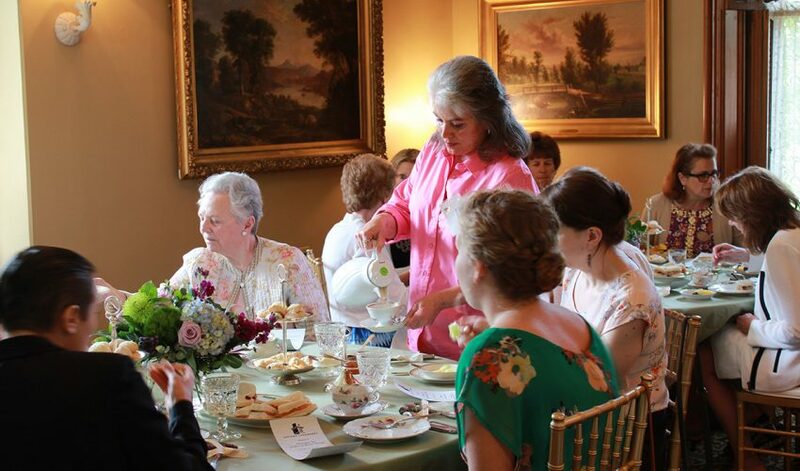 The parlor, dining room and library—separately or together—make a lovely setting for a private Victorian tea. 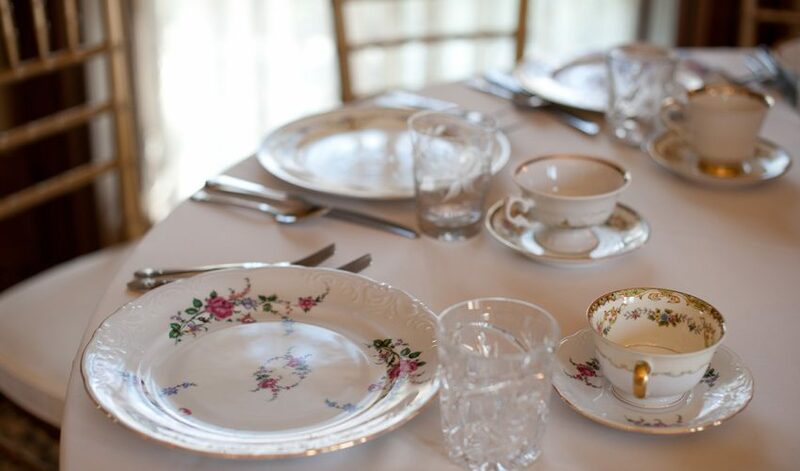 In renting the spaces for teas, we provide the china and tea serving wares while you work with one of our five approved caterers on the menu and other rentals (tables, chairs, linens). 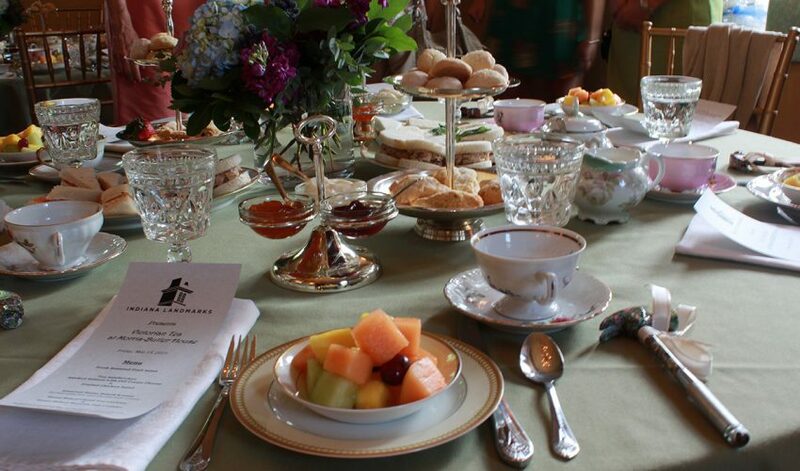 A private tea is perfect for showers, receptions, and birthdays. Our staff will help you plan the menu for your occasion, and can suggest additional activities to make your gathering memorable. 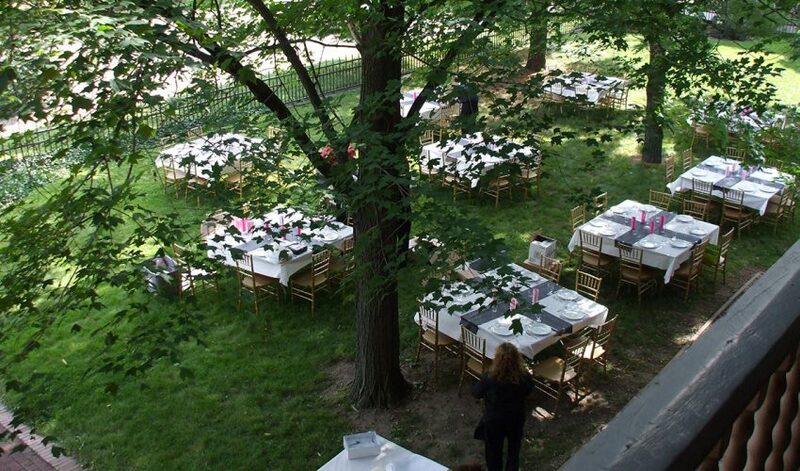 Morris-Butler House’s sizable front and side lawns have been used for outdoor weddings and receptions, beautiful settings with the Victorian home as backdrop. 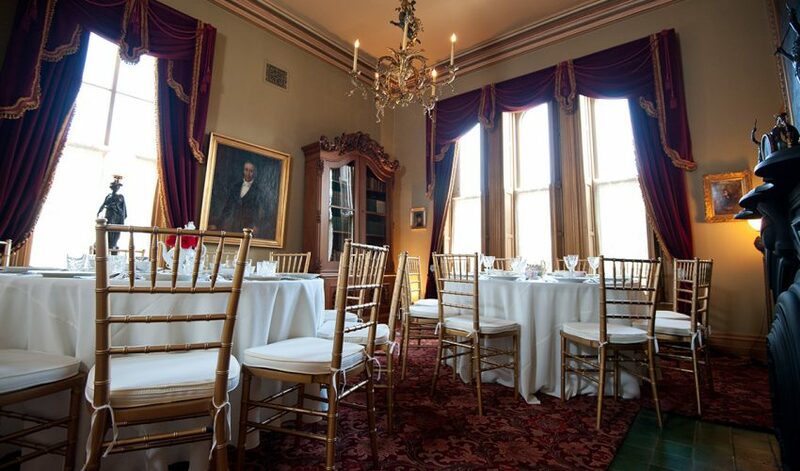 The Morris-Butler House in Indianapolis takes its name from two families who lived there in the nineteenth century. 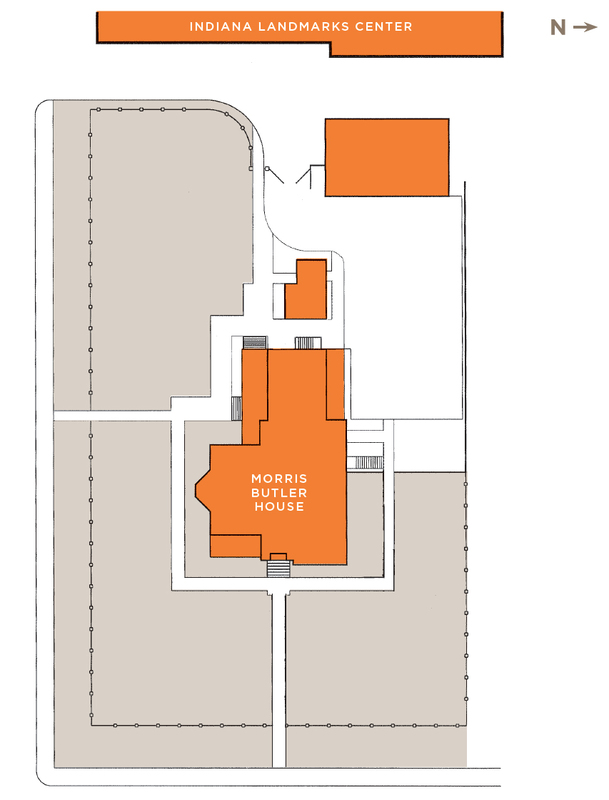 In 1864, John Morris commissioned the construction of his home on land once owned by Ovid Butler, the founder of Butler University. Morris was one of the first to move to the new suburb north of downtown. The area quickly became the city’s most fashionable place to live. The Morris family occupied the house until 1878. 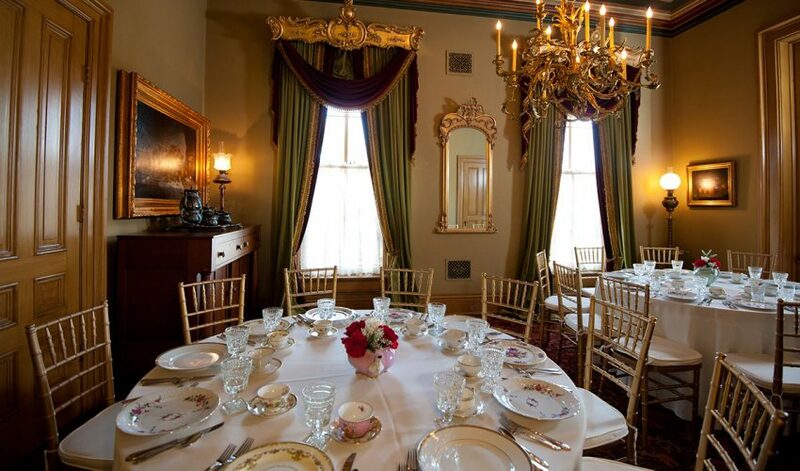 Noble Butler, a bankruptcy lawyer, moved into the Second Empire-style house three years later with his wife and seven children. The family stayed until Florence Butler, the youngest daughter, died in 1957. Her survivors emptied the house and held an estate auction. By then, the neighborhood was no longer viewed as an enviable place to live. A majority of the large homes had been divided into apartments during and after World War II, and most were dilapidated. By the mid-1970s, over half of the original houses had been demolished. In 1964, Indiana Landmarks—then known as Historic Landmarks Foundation of Indiana—rescued the deteriorated house. 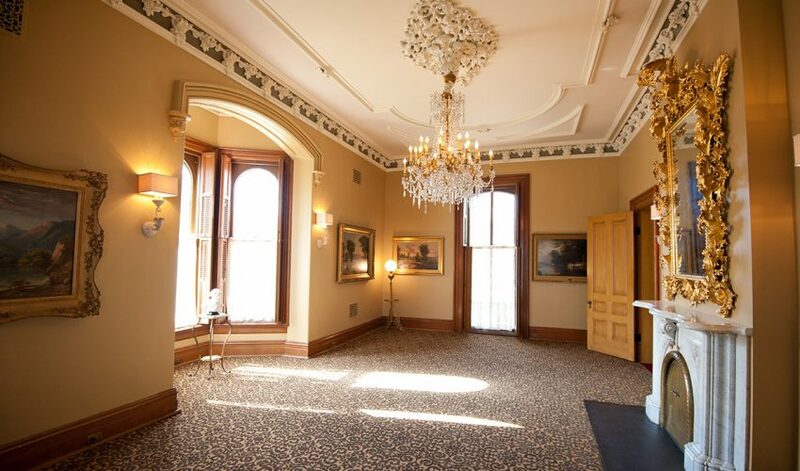 Eli Lilly, a founder of Indiana Landmarks, funded the purchase and the five-year restoration directed by architect H. Roll McLaughlin, also a founding board member. 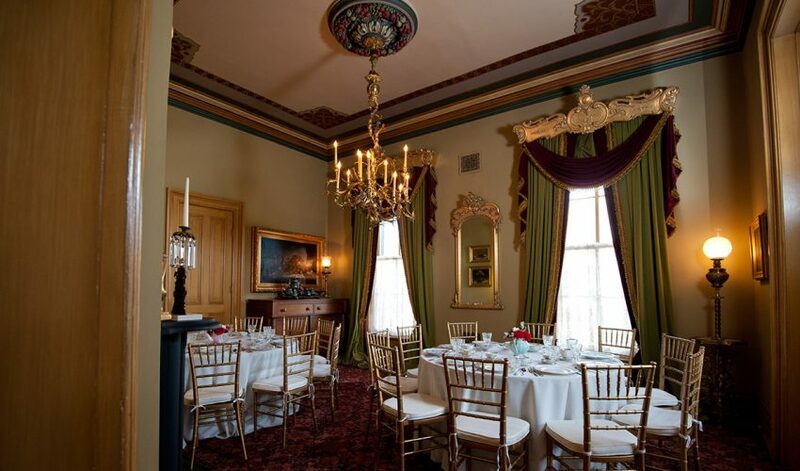 Mr. Lilly also paid for the home’s Victorian furnishings. Indiana Landmarks opened the Morris-Butler House as a museum in 1969. You may notice how I-65-70 curves as it approaches downtown from the east. That curve demonstrates the power of preservation and Indiana Landmarks, which convinced transportation officials planning the interstate construction in the early 1970s to spare rather than demolish the National Register-listed Morris-Butler House. Lobbying to save Morris-Butler House also spared what was then Central Avenue United Methodist Church, now Indiana Landmarks Center. The restoration of Morris-Butler House, followed by the listing of the entire neighborhood—called the Old Northside—in the National Register of Historic Places, acted as catalysts for the revitalization of the area. 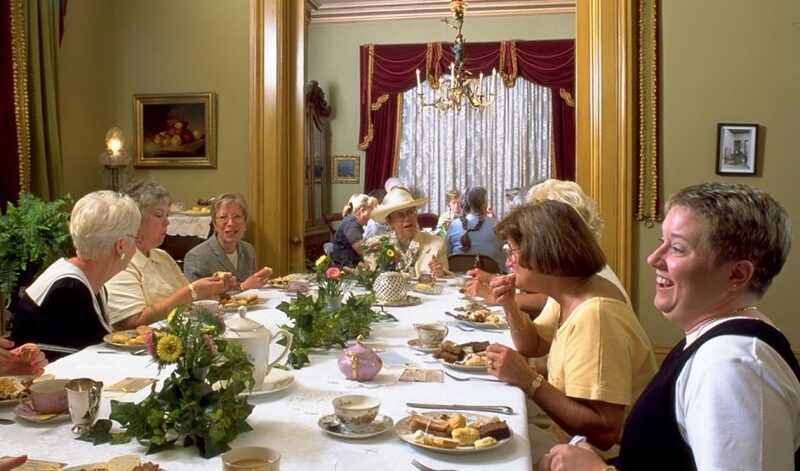 In the early 1980s, Indiana Landmarks partnered with the Junior League of Indianapolis to rescue and resell houses with protective covenants, concentrating initially in the Old Northside. The revolving fund that financed the program later expanded to other areas and is now known as our Efroymson Family Endangered Places Fund. And the Old Northside is once again an enviable residential neighborhood, where restored historic houses blend with new homes filling the empty lots created by the demolitions of the 1950s and 1960s. 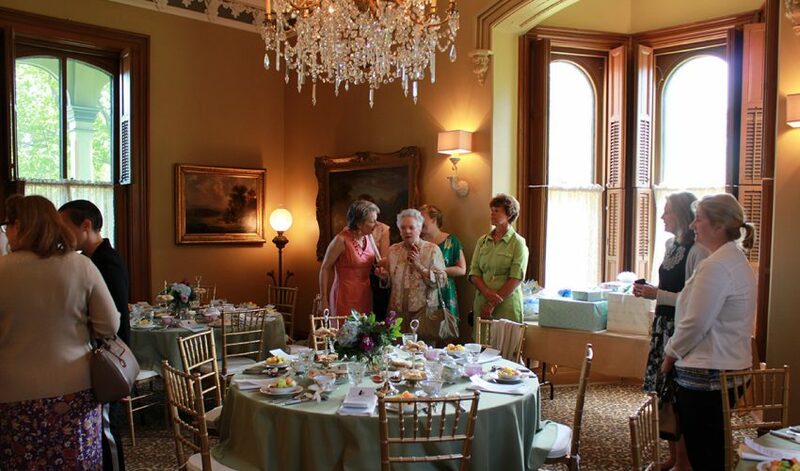 In the twenty-first century, Indiana Landmarks’ board, with the blessing of H. Roll McLaughlin and other early supporters, voted to cease operating Morris-Butler House as a museum, a use which had never achieved visitation adequate to offset maintenance and staffing. We’ve followed the American Association of Museum’s guidelines in the transition that allows day-to-day use of many former museum furnishings. 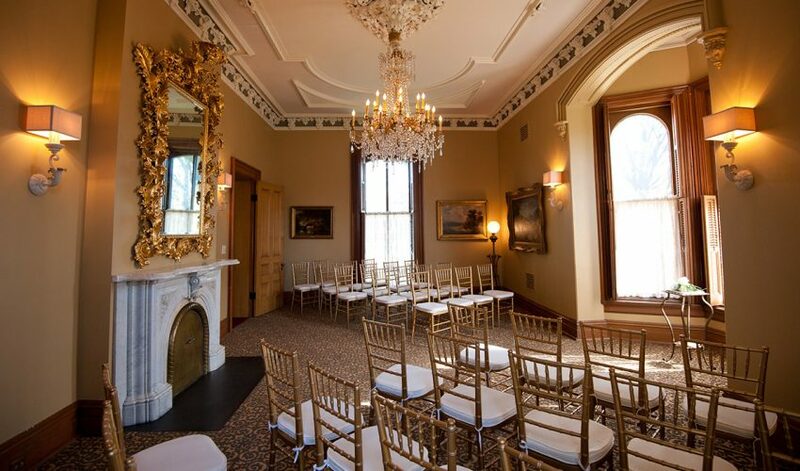 Indiana Landmarks hosts meetings and events in the house and we offer the first-floor parlor, dining room, library, and grounds for rental use.